Sometimes it's the simplest comic compositions that work best. 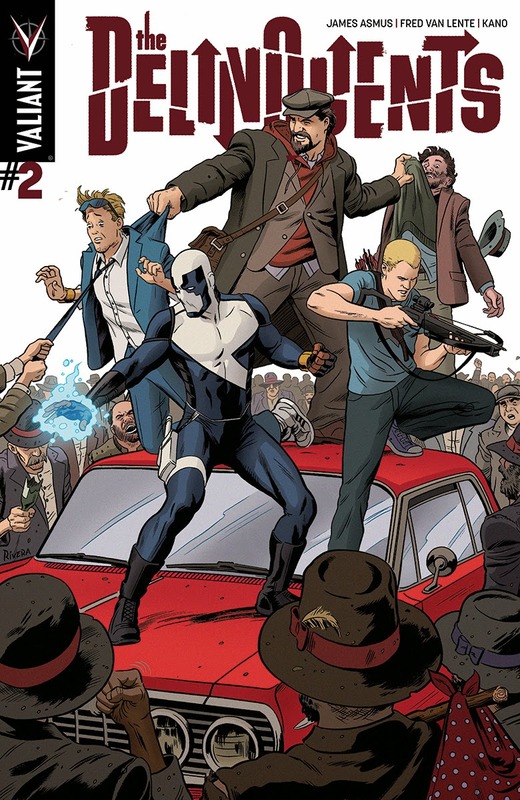 Here the ol' pyramid is pulled out so despite the hectic gang scene, the whole image of Valiant's dynamic duo of duo's trapped by the mob, remains easy to read and attractive to the eye! 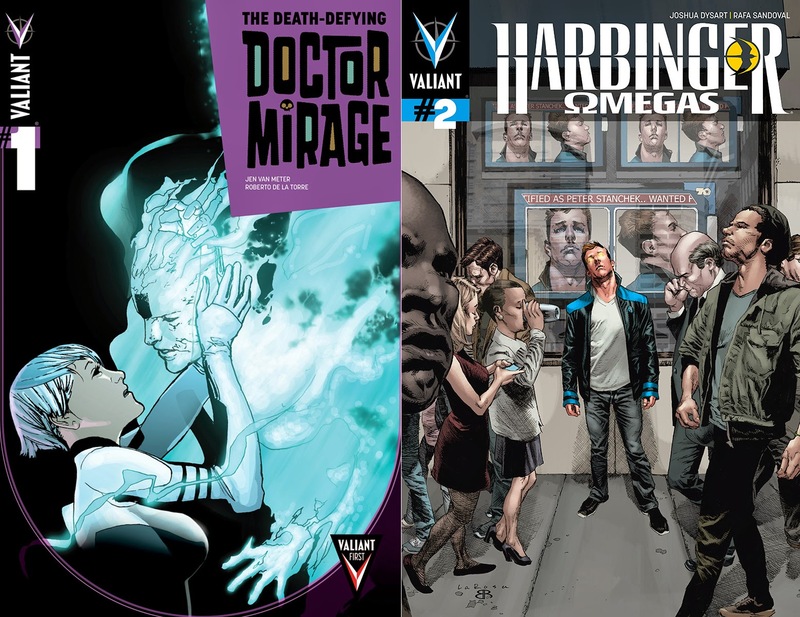 THE BEST OF THE NEWBIES THE DEATH-DEFYING DR. MIRAGE #1 Death was just the beginning... Doctor Mirage talks to the dead...but the only spirit Shan Fong can't find is that of her late husband, Hwen. Instead, America's favorite semi-retired paranormal investigator is haunted and raw, using her gift to solve homicides and bring peace to the recently bereaved. What do you think? 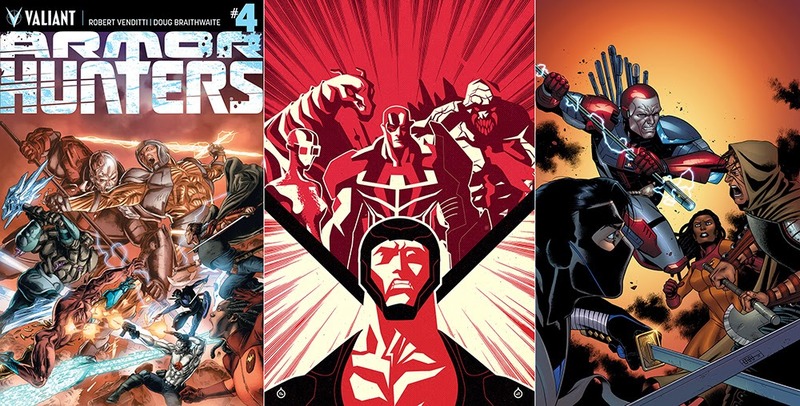 For the full Valiant Comics September 2014 solicitations, click the jump.